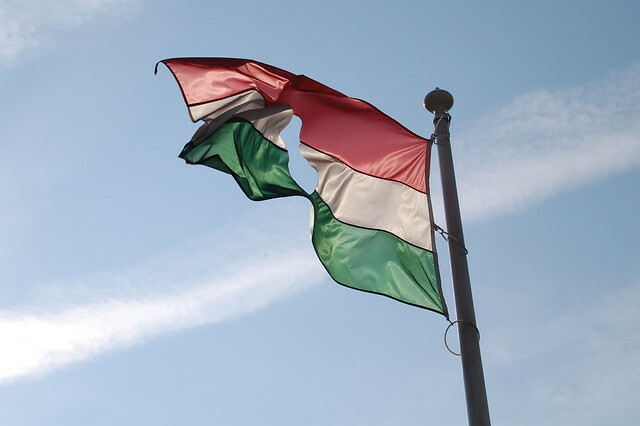 Today, 23 October is a national holiday in Hungary. It is the anniversary of a student led uprising against the Soviets, demanding the end of their rule. What started peacefully ended in clashes between police and demonstrators with many casualties. Those demonstrating wanted the former Prime Minister, Imre Nagy, to be returned to power and for the Soviets to leave. The Polish were successful in getting their former leader back in power and the Hungarians wanted the same for their country. A list of 16 demands were compiled and demonstrators congregated at the Budapest radio building where they wanted to broadcast their demands. They were not allowed into the building and were detained. Crowds gathered outside the building demanding that the demonstrators be let go. This escalated and it wasn’t long before the police started firing on the gathered crowd. Meanwhile, the First Secretary Ernő Gerő, condemned their demands. Angered by this, the demonstrators took matters into their own hands and brought down the statue of Stalin (point 13 in the previous wiki article). Things did not get better. Over the course of the next few days, clashes between police and the public escalated. Soviet tanks were brought in and soldiers were keeping guard at key bridges and cross roads. A ceasefire was arranged on 28 October, and by 30 October most Soviet troops had withdrawn from Budapest to garrisons in the Hungarian countryside. There was brief period of peace between 28 October and 4 November, but this did not last. In the early mornings of 4 November 1956, Soviet tanks crept into Budapest and overtook the city and government. Resistance from the Hungarians were uncoordinated. Soviet tanks roamed the streets firing indiscriminately. The end result was over 2500 Hungarians were killed and thousands injured – most of them civilians. Check out these witness accounts of the revolution in 1956 that were collected by the BBC. When I was in Hungary, in the days leading up to this national holiday, posters were put up at tram stations. “Kik érted haltak” translate into “who died for you” based on Google translate. The posters profile 5 individuals and their contributions on October 23. Additionally, the trams have been playing announcements along the route profiling events that happened at particular tram stops. Its all in Hungarian, but I wished I could understand. There is so much history in this city. So much history in Hungary! I could feel it while I was in Budapest. A lovely read! Definitely! The whole country is seeped in history and it’s everywhere you go. Thanks for reading! We just visited Budapest and the 1956 anniversary was in the air. We took a communism tour that talked all about this difficult period in Hungarian history. We completely agree with you: there is SO much history in Budapest. We can’t wait to go back. Thanks Lance. When people visit Budapest they don’t really see this side of the city. Most just see the pretty buildings and architecture. I’m glad you were able to go on a tour and learn more about it. It definitely gives you more perspective. Now is a particularly interesting time in Hungary especially with the government imposing these internet tariffs. Knowing the country’s history definitely helps with understanding the country today.